She was interviewed and the subject of a forthcoming co-written essay on her self-named “Fe” clothing line by Dr. Amber Rose Gonzalez and Dr. Chela Sandoval. 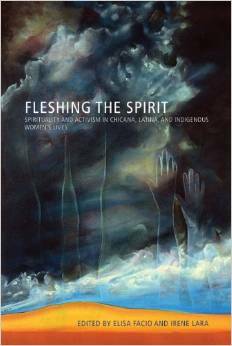 Felicia has a published essay on Mujeres de Maiz in the book “Rushing Waters, Rising Dreams” edited by Luis Rodriguez and Denise Sandoval. The book won a Bronze Medal in the Multicultural Non Fiction Adult section of the Independent Publisher Book Awards in May 2013.